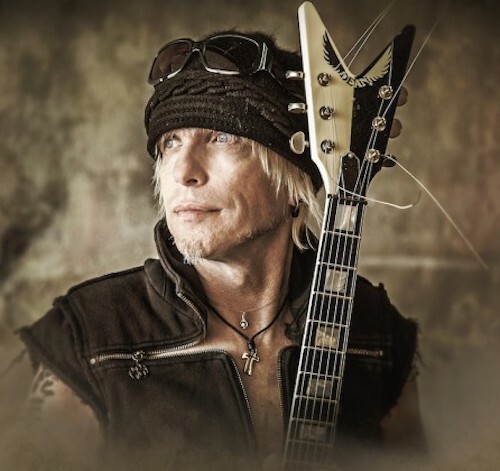 Greg Prato of Vintage Rock spoke with iconic guitarist Michael Schenker. Highlights from the chat appear below. Vintage Rock: It seems like Stateside, you’re the most popular you’ve ever been. What do you attribute this to? …If you think about it, for half a century, I did not listen to other people, and being true to myself, and writing and experimenting. It’s a long time. So, the reward is big, and I get a lot of icing now (laughs). Vintage Rock:2019 is the 40th anniversary of both UFO’s Strangers In The Night and the Scorpions’ Lovedrive. What do those two albums mean to you? Michael Schenker: The release, maybe, but for me, it’s always when it was recorded. And that’s when it really happened. So, for me, it’s 41 years now. Last year was 40 years. For me, it’s been 41 years since the recording of Stranger In The Night, “one of the best live rock albums of all time.” That’s my speech. And…it’s been 41 years since the Scorpions asked me to help them with their Lovedrive album. So, I call it 41 years, maybe for the release date it’s 40 years…I don’t know. I always go by when it was recorded. Vintage Rock: But what do those two albums mean to you? Michael Schenker: They mean that that was basically the end of my development – the first step of my development. I started recording when I was 15, I started playing guitar when I was nine. From 16 years old, Lonesome Crow contained my first-ever written song, which was credited to all the Scorpions, but they had nothing to do with it. I was only 15, they were already 21, and they kind of ripped me off. But In Search of Peace of Mind was the very first music that I ever wrote – and it still has one of my favorite solos in it. So, from then on, until Strangers In The Night or helping the Scorpions with Lovedrive, which opened the door to America for them, that was basically the end of that era. And then, I started writing the song called Into the Arena, and that meant, “OK Michael…it’s time to work on understanding what life is all about, and who you are.” That’s what it means. It’s basically development fulfilled. And the next step was focus on life itself, and since 2008, it has been about understanding what happened, and celebrate. Read more at Vintage Rock.